Rose Quartz is a persuasive yet gentile tone that conveys compassion and a sense of composure. Like a serene sunset, flushed cheek or budding flower, it reminds us to reflect on our surroundings during the busy but lighthearted spring and summer months. 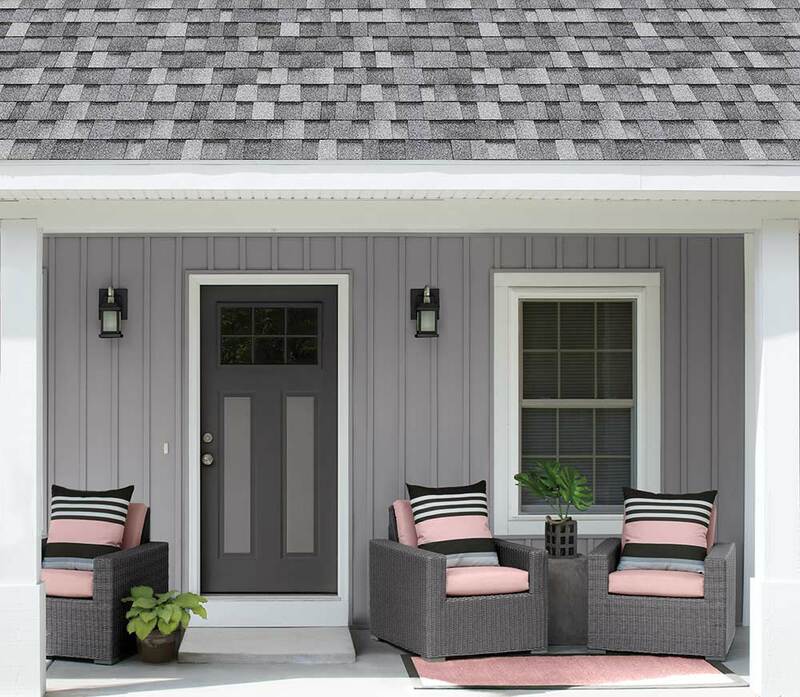 The black and white composition of Sierra Gray shingles crisply bookends this PANTONE COLOR OF THE YEAR. Like Sierra Gray but not a fan of this color pairing? Don't worry, we've got you covered.